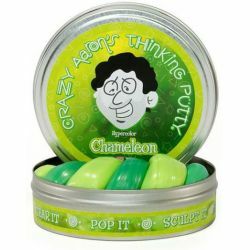 Crazy Aaron's Chameleon 2" Thinking Putty. One of the most adaptable animals in all of nature, the chameleon is a small lizard that has lived on Earth for millions of years. 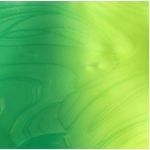 It has a prehensile tail, eyes that rotate independently and an amazing ability to change its color to match its surroundings. Each tin includes 1/5 lb of Chameleon Thinking Putty—a huge handful for tons of fun.